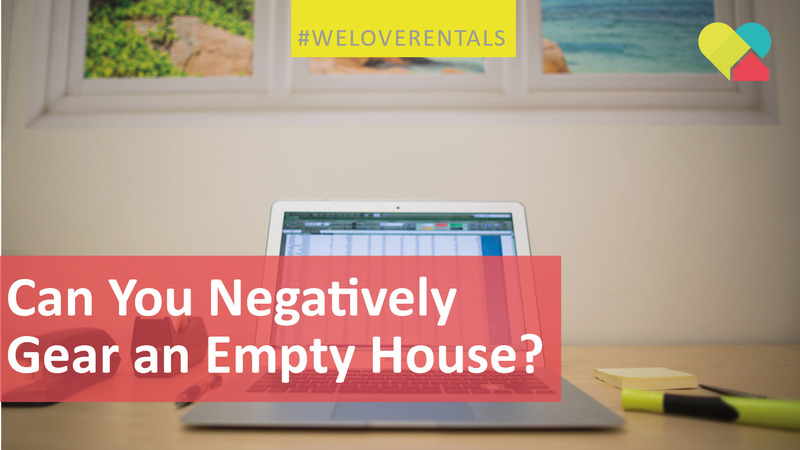 Can You Negatively Gear an Empty House? Thanks to a strong demand for safe housing investments both domestically and abroad, new property developments have been taking shape in many parts of Australia, particularly in New South Wales and Victoria. Because of this demand, the country now has more than 2 million landlords. However, despite this rapid growth, many dwellings remain vacant, even in booming markets like Sydney, and often in fringe suburbs of the Perth Metro area. Are the owners of vacant property getting tax benefits? Negative gearing is possible if the owners’ rental expenses exceed the rental income. These expenses may come from items such as loan interest, maintenance costs, rates and taxes and insurances to name a few. People who negatively gear their properties expect the house to appreciate in value. By taking a loss now, the expectation is to sell the property for more than its purchase price. But, there is a catch. If a property is left vacant by choice, then the owner is unable to get tax deductions from the ATO. What happens is the owners can’t find tenants? If the property was standing empty when the owner had it listed with a real estate agent in search of a tenant, then all the expenses would allow for a tax deduction. For example; If a property was situated next door to a new residential development, thus being unable to attract tenants, the owners would still be able to claim a deduction even though the property was vacant. From the ATO’s point of view, investors are in business to make a profit from property – either directly from the rental income or when the property sells for a profit, so it pays to know when you can & can’t claim a deduction.